I must admit I’ve never written an article for a blog at all. The thought often intrigues me but alas, there seems to always be things I have to do. When V asked me to do a guest blog, it was exciting and scary at the same time! Never done this before! It can only end in two ways right? If it ends well then, I’d like to attribute it to the amazing woman this article is about and if it doesn’t end so well, then I shall affectionately say, “Me no English! English no no!” Now, with the disclaimer out of the way, let me tell you a story that I hope, will lift your spirit up for a second or two. The story begins with a young girl living in Mauritius by the name of Marie. Experiencing life as any child would, learning the nuances of the world without having a care. But unlike other girls her age she was born with vision in just one eye, Marie struggled through first years of schooling as a dyslexic….. Writing backwards, articulating poorly, avoiding ALL her reading throughout her schooling, fudging her way through classes and eventually requiring remedial lessons. In her later years of primary schooling, her struggle was compounded by regular fits of epilepsy, or petit mal, for which she underwent four years of drug treatment which destroyed her stomach. At this point in time, her parents decided that it was time to move to greener pastures and Marie was 11 years old when her family migrated to Perth. Her knowledge of the English language was quite basic, but enough to get by. Her family bought a farm in what was then rural metro Perth and her 3-leg commute to school took her 1 hour 20 minutes each way, every day. But she did that without complaint because that’s just how it was. Consider for a moment, how hard her life would be at this point and her chances of success in life! Eventually she managed her epilepsy, she lived with her dyslexia and she received English and elocution lessons to “fit in”. Then she finished high school. Not one of her family members or immediate relatives had ever been to university - - - but now, Australia provided an opportunity which her parents supported. Somehow, using her skills in one particular school subject, she scraped through her final year at school and was admitted to Curtin University where she studied for four years before finally graduating with a Double Degree in Business & Arts. Throughout her time at Curtin, Marie was actively involved in campus life and embraced the diverse clubs and cultures, being a migrant herself. She took up every opportunity she was presented with to attend courses, workshops and activities that would help her personal development ……. including one particular Dale Carnegie course which made a real impact. Like all students, Marie had a few casual jobs. She managed to save money for trips to attend conferences in the Eastern States from time to time during her breaks. She absorbed everything she learned and by the age of 20, Marie had written down her “list of goals”. On this list were all her personal and career goals in her life which she memorised. Her determination led her to a secure a leadership role in an international student association, and as soon as she graduated, Marie went on a graduate traineeship to Canada. And thus, she started ticking off her goal list. Not five years later, and back in Perth, Marie was offered a partnership in a PR & Marketing Agency with some of WA’s leading spin doctors at the time. Never one to turn down an amazing opportunity, Marie accepted her first equity role in a business. Two years later, her partner at the time was offered a plum role in Singapore and Marie followed. Not knowing a soul there, she keenly attended networking events organised for expatriates. Within three months, Marie had been offered a role as head of marketing for a magic circle law firm….. a great opportunity. Just four years later, Marie had achieved her ultimate career ambition of heading up the marketing function in a global organisation with a turnover exceeding $500m. She had moved to Hong Kong to head up the entire Asian Business Development & Marketing department with a team of support staff for the world’s largest legal services organisation with US$1 billion revenues. You would think that such a person would continuously climb the ranks and sit at the very top of any organisation she chose. But it’s not the case with Marie, at a relatively young age she realised that she had achieved all that she wanted to achieve. In my life, I have met many driven and successful people but let me tell you, I’ve never met anyone that has the ability to be content with what they have and stop themselves from being consumed by their profession. Back in Hong Kong and sometime in her late 30s, Marie had ticked all the goals on her list and thought what now? The boxes were all ticked but her goals had all been very quantitative and selfish. In the process, she had made good money but she had made lots of money for other people too. There had to be something she could do to feel useful, something a bit more qualitative. Having been so unwell, she decided that it was time to call it quits. She had to get her health in order, and find something more meaningful to do. Despite all her commercial successes, she chose to walk away from it and do something completely different. She chose a line of profession that enables her to give back to the community. I remember asking her why she would do such a thing knowing full well that she could become so much more successful in the business world. She smiled and told me that one day she realised that she had always shifted her goal post for no apparent reason. Just one more project, one more promotion, and so on. She promptly recognised this and left it all behind. She is currently working for Cystic Fibrosis WA as the marketing coordinator. Cystic Fibrosis WA (http://www.cysticfibrosis.org.au/wa/wa-welcome/) is a not-for-profit organisation that aims to help people with Cystic Fibrosis to lead a normal life. 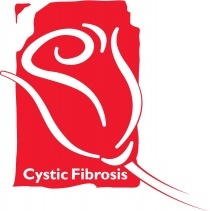 Cystic Fibrosis (CF) is one of the most common life threatening recessive genetic disease conditions for which there is no known cure. It mainly affects the lungs and digestive system. There is a 1 in 25 chance (that’s a staggering one million people in Australia) of carrying the gene which most people are not aware of until they meet another carrier and have a child with CF. Although huge strides have been made to increase the life expectancy for people with CF; sadly this illness still takes too many lives, far too early. Recognising the lack of support for people with this condition, she dedicates her skills and knowledge to create a better tomorrow for those who are less fortunate. Thus end the story and while to other people she may just be another woman, to me, she is a mentor, confidant and above all, my Hero.